Latika has enriched Technousa as she brings with her vast experience in project management, delivery management and customer account management. She drives each project by not limiting her role to delivery but also innovation, planning and execution. Proven success in enabling the project team to scale beyond their capabilities and delivering many projects under short cycles through the use of Agile methodology. She is an expert at building positive client relationships, by driving delivery team to meet the needs of the clients. She also knows how to keep her team happy and productive. Her ideology of "Do More" has enabled her team to deliver across all technical platforms and business domains. She holds a bachelor in engineering in Computer Science from Cummins college of Engineering, Pune University. She has 13+ years of experience of working in small as well as big software organizations which apart from Technousa includes Netedge, Steria and Accenture. In the beginning years of her career she has worked in various roles like of a developer, tester, technical writer, production support and then moved to a role of business analyst in Technousa. Her technical expertise in platforms like Java, .Net, Unix, Oracle and related technologies allows her to have an edge in her current role. At Technousa she still looks after business analysis as it remains close to her heart but her fully fledged role since the last 5 years has been around project delivery and client handling. She is always available to her team for any project issues and tries to get all the help and resources required by them for accomplishing their task. She is highly recommended by the clients she listens to them and comes up with value addition by telling the clients what is missing or not correct. This has helped many clients to save on their project costs and allowing them to utilize their budget on some more important features. She has exceptional communication skills. 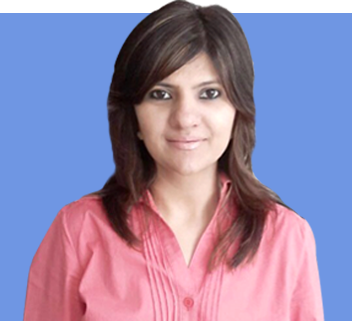 At Technousa she has trained various employees in company processes to ensure the smooth functioning of each department. Based on her experience she reviews and provides her valuable feedback to key employees of the company so that their hard work turns more into smart work. As part of the management, she does not limit herself to project only but also takes interest in HR, Recruitment, Marketing, admin related processes. She likes to enhance on her skills and learning new things to build up on her solution finding abilities. She also encourages her team to work on newer platforms and hence has been successful in building a very strong team for Technousa. Apart from work, she loves to read, meet new people and also tries her hand at gourmet cooking.